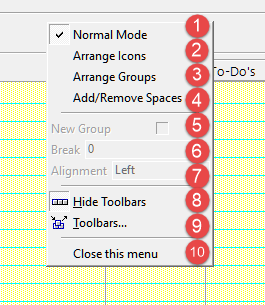 How to configure the toolbar. 5 Set the icon to new group. 6 Set the icon to break. 7 Set the icon to align (left or center or right).